bon COBRA 5. MP non-mydriatic digital fundus camera, NEW! 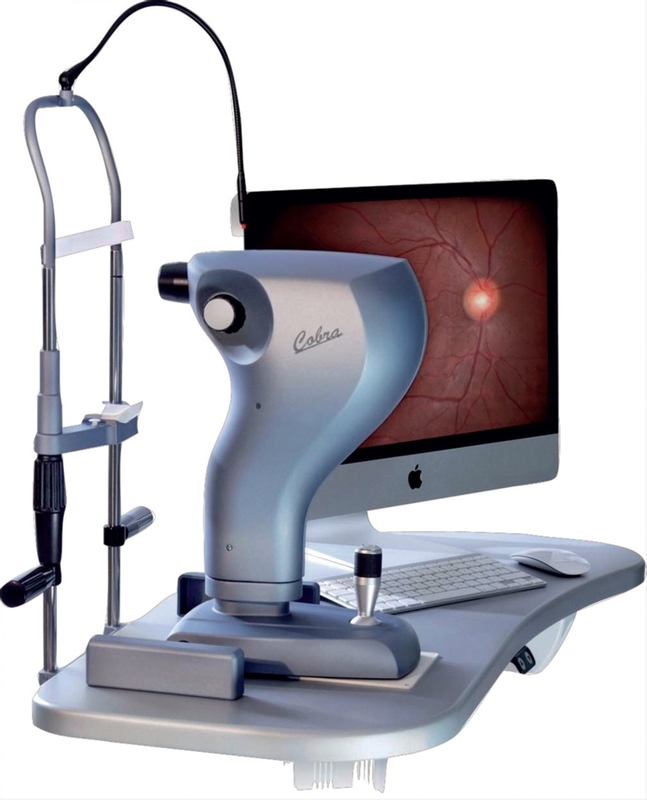 COBRA - The next generation of non-mydriatic fundus camera. b o n delivers the innovative non-mydriatic digital fundus camera that integrates every function required for easy retinal screening. Integrating an innovative imaging optical system, Cobra realizes digital fundus imaging of high resolution and fine gradation. Ergonomically designed Cobra provides clear and detailed display of the entire fundus image at true 60° x 45° field of view. The system offers retinal photography with minimum flash exposure allowing quick and efficient fundus photography, thereby minimizing patient discomfort. Cobra shares the use of the high resolution CCD camera for alignment (IR illumination) and capture (White light flash). Cobra only needs a minimum pupil diameter of 2,2 mm and a room with standard lighting conditions. Thanks to its variable focus options Cobra also provides pictures of the anterior segments of the eye. Firewire connection to a PC allows quick and easy transfer of the images. The data are saved in a database through the Phoenix Software in Stand-Alone or network configuration. DICOM connection can be achieved transferring images to a compatible server. Sophisticated imaging functions are incorporated, including image processing features, drawing, measurement, and panoramic imaging for large field analysis. With Phoenix it is easy to print and save structured reports on the patient archive. Image export is available in many image formats. The data can be transferred to a DICOM (Digital imaging and Communications in Medicine) compatible server. Click the button below to add the Cobra Fundus Camera to your wish list.